London is full of surprises. Most people have an understanding that it is an expensive city with a lot of the major attractions not being budget-friendly, but the great thing about this city is that there is so much to see for free. You could spend your entire life here and you would never be able to see everything. I have compiled this list of unique things to do in London because I am sick of everyone recommending the expensive tourist traps that many travellers can’t afford. Here are 30 unique things to do in London that are absolutely free for you! Amongst the concrete jungle that is London, there is a park with a difference. 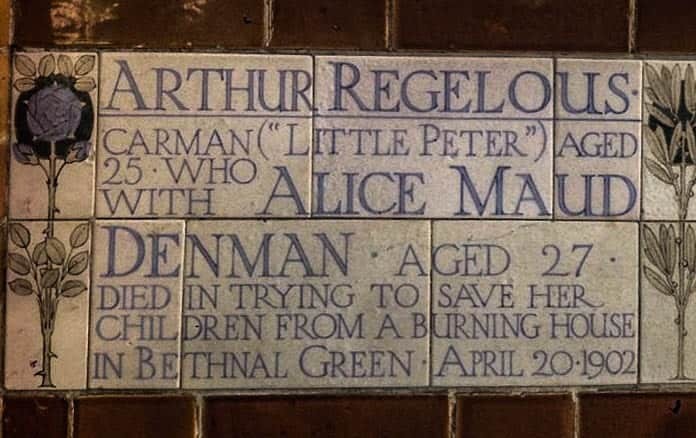 Postman’s Park is dedicated to those who lost their lives whilst trying to save another. It’s very peaceful, so make sure you spend some time just reflecting and enjoying this beautiful little park. The closest tube station is St Pauls. Little Venice is overlooked by many tourists, but it’s such a beautiful little place. It’s a picturesque canal that is filled with quaint boat cafes and great pubs. You can walk with the canal on the footpath, which leads to the centre of London. It’s a beautiful walk on a summer’s day. You can get off at the Warwick Tube station and walk along the canal towards Paddington. 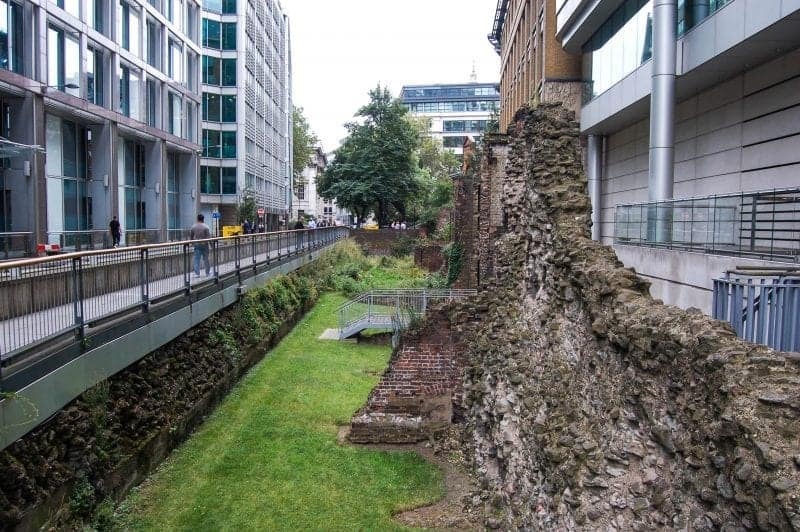 Everybody knows about Roman London but people still don’t know that the wall that surrounded London still exists today! The walk is 2.8km and can be seen if you follow the 21 market panels. You can start in either Tower Hill Postern Gate or go backwards by starting at Noble Street, which is close to the Museum of London. The best thing is, it’s completely free and it’s a great option if you want to learn a little bit more about the fascinating history of Roman London. This is one of the best things to do in London that not many tourists know about! Leadenhall Market is a restored Victorian market, which is beautifully decorated and has some of the finest food in London. You can find the market off Whittington Avenue. It’s open from Monday to Friday, 11am until 4pm. Can you spot the noose? 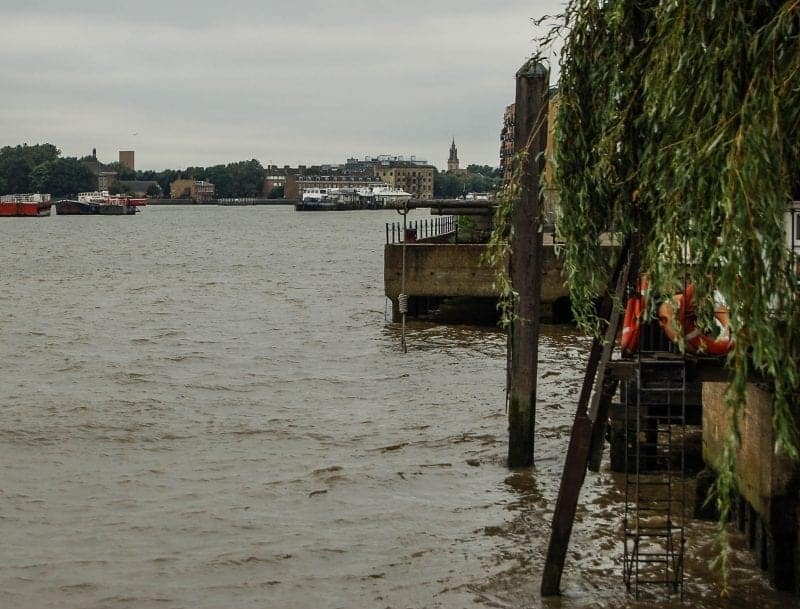 The name is not inviting, but the history behind the execution dock is pretty jaw-dropping. It was used for more than 400 years to execute… pirates! They would be hung on the scaffold right next to the Thames at Wapping. The last executions that happened here took place in 1830. Unlike many hangings, the bodies were not cut down straight away – they were left hanging until three tides washed over them. Can you imagine what it would be like back in those days watching the public executions as some sort of event? What a different world we live in today! This is definitely one of the top unique things to do in London! 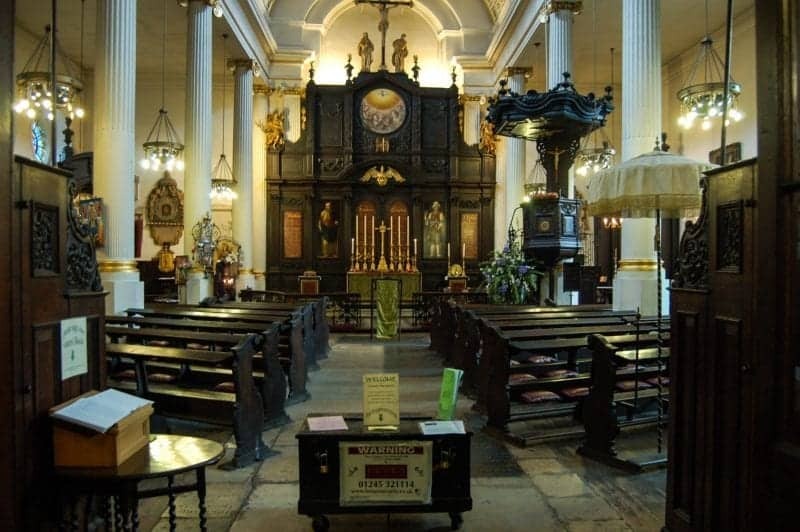 The oldest church in London has been used since 1143. If you remember the movie, Four Weddings and a Funeral, you might recognise this as the location of the fourth wedding! 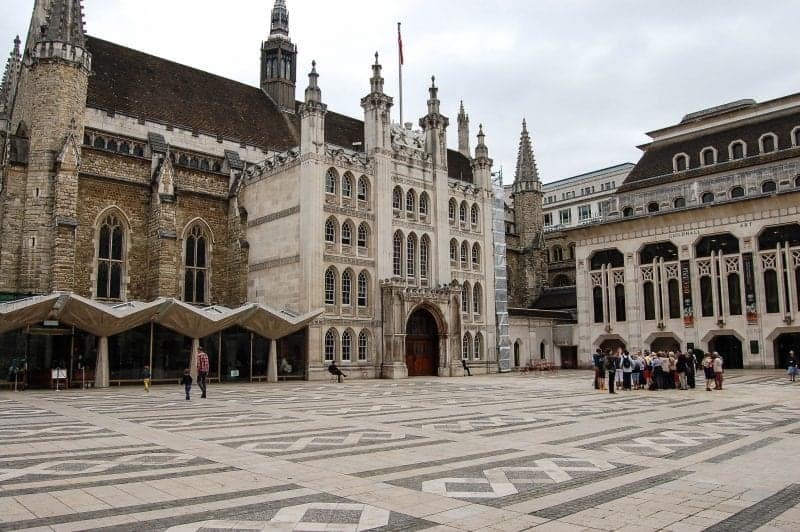 Below Guildhall Hall lies the remains of the largest Roman amphitheatre that was built in London. These remains were only discovered in 1985! More than 7000 spectators would gather around to watch wild animal fights and the execution of animals. Below the Guildhall Art Gallery you can see the ruins of the amphitheatre for absolutely free. On 41 Cloth Fair lies the oldest house in London, which was built between 1597 and 1614. It’s said to be the ONLY house in London that survived the Great Fire of London in 1666. One of the best things to do in London is to see this market. 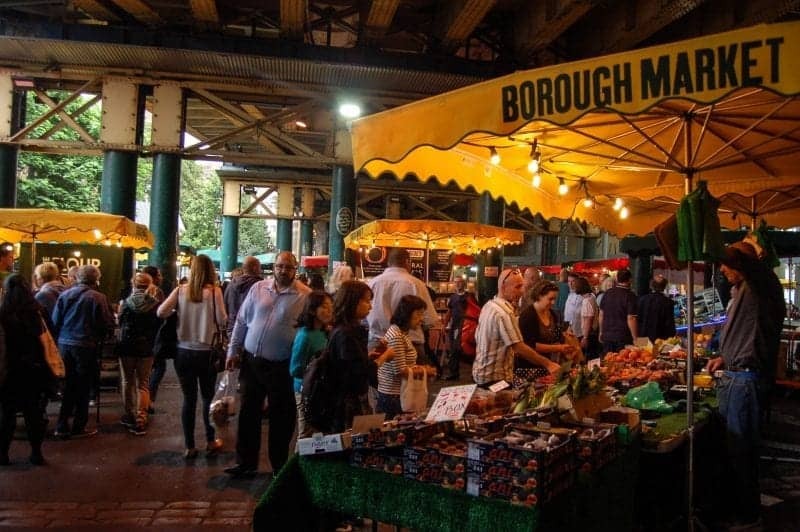 It’s been going for over 100 years, making it the oldest food market in London. 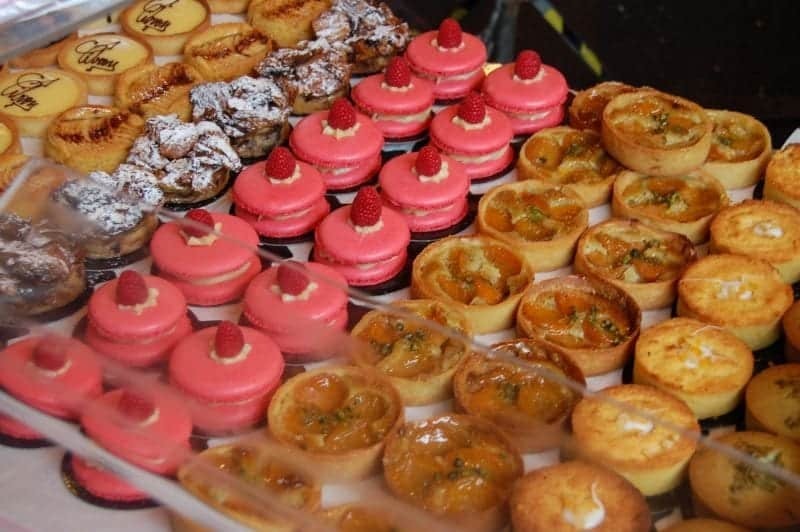 There are over 100 stalls selling fresh fruit, cheeses, meat, pastries and much more. There’s also a great selection of food trucks here too that shouldn’t be missed. I highly recommend the vegan burger from Big V, it’s simply delicious! Bushy Park is the second largest park in London and is famous for its wild deer. It’s a stunning place to visit so I highly recommend coming here. 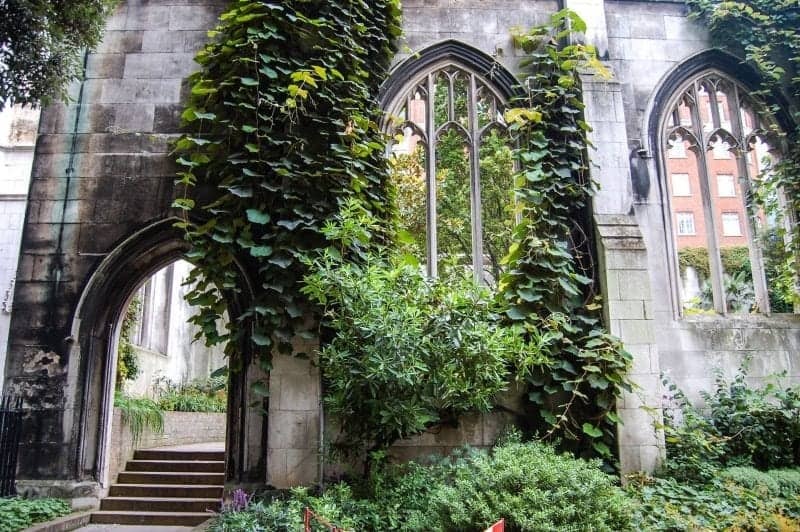 One of London’s most beautiful secrets is the remains of Saint Dunstan, which has now been turned into one of the city’s most beautiful gardens in my opinion. It was built around 1100 but was severely damaged when the Great Fire of London hit. It was then patched up but, unfortunately, most of it was again destroyed during World War 2. The Hunterian Museum is one of the WEIRDEST museums in England. It is home to John Hunter’s collection of over 3500 anatomical and pathological preparations, paintings, drawings and fossils. It’s definitely a one-of-a-kind place and is absolutely free for you to enter! Want to get a photo at number 10 Downing Street but the enormous gates and police officers are blocking your way? No problem! 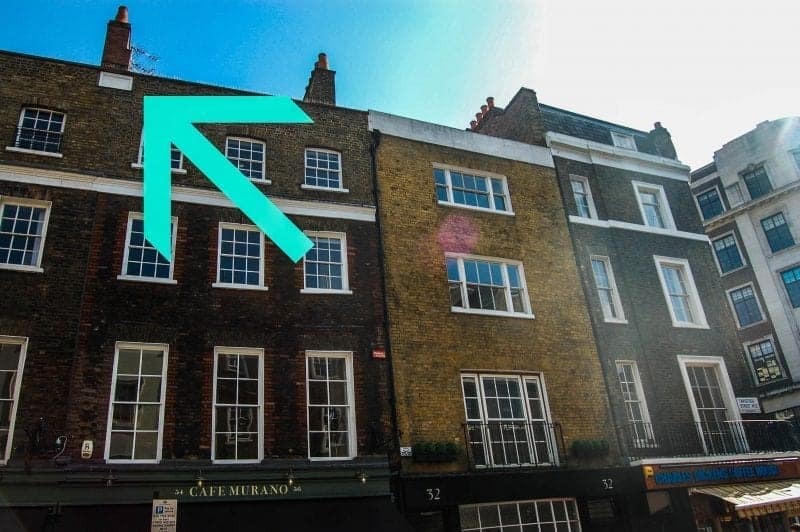 Head to 10 Adam Street, near Charing Cross station. It looks amazingly similar to the Prime Minister’s house so it’s the perfect place to get a picture! 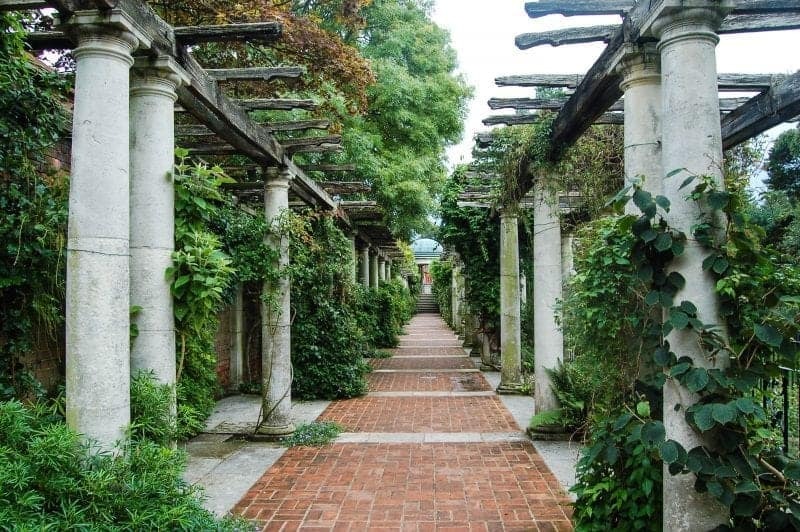 Another beautiful secret is the Hampstead Pergola and Hill Gardens! It’s definitely one of London’s hidden attractions and one of the top things to do in London. 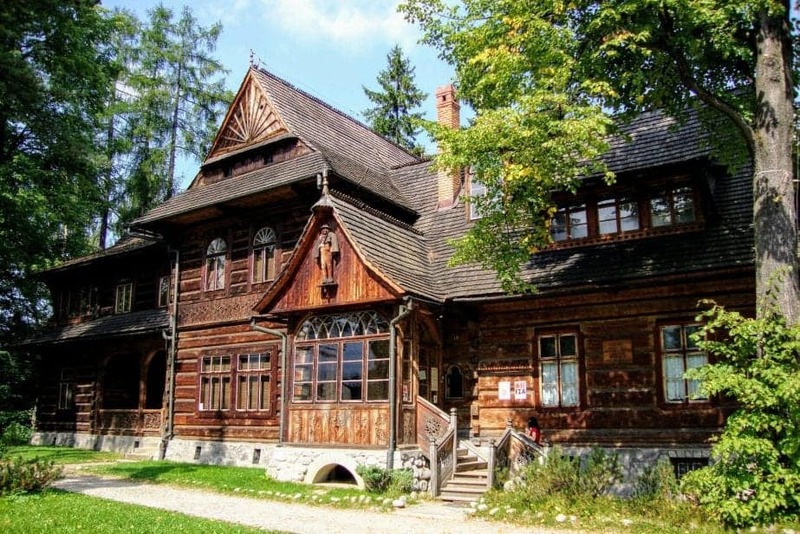 A wealthy philanthropist wanted to build a pergola for his extravagant Edwardian garden parties, but sadly when he passed away the pergola was left to fade. It may not be shiny and new anymore, but this place has a special atmosphere that I have never felt anywhere else in London. Cockfighting, an old sinister sport, used to happen in this small passageway, which can be found between Birdcage Walk and Old Queen Street. Not only was this a venue for the upper class to watch cockfighting, but it’s also is rumoured that these steps are haunted by a headless lady. In 1804, two guards witnessed the lady heading down the steps and over to St James Park. They were so scared that they had to be restrained in hospital. In 1972, a man driving past the steps hit a lamppost because he was swerving to avoid the same woman in a red dress! Princelet Street has got to be the quaintest street in East London. It boasts a strong character, resulting from the old shop fronts and houses that were built in the 18th and 19th centuries. What I love about this street is the shop fronts seem to look like they did hundreds of years ago, complete with cracked facades and old sign writings that date way back. It’s like this street has been frozen in time. This street is often used in movie sets! The space that’s currently a cleaners’ broom cupboard actually functioned as a police station in the past! Located in Trafalgar square, this little masterpiece used to accommodate 2 criminals at a time, although its main purpose was to be used for a single policeman to spy on people – kind of like an old-school CCTV system. 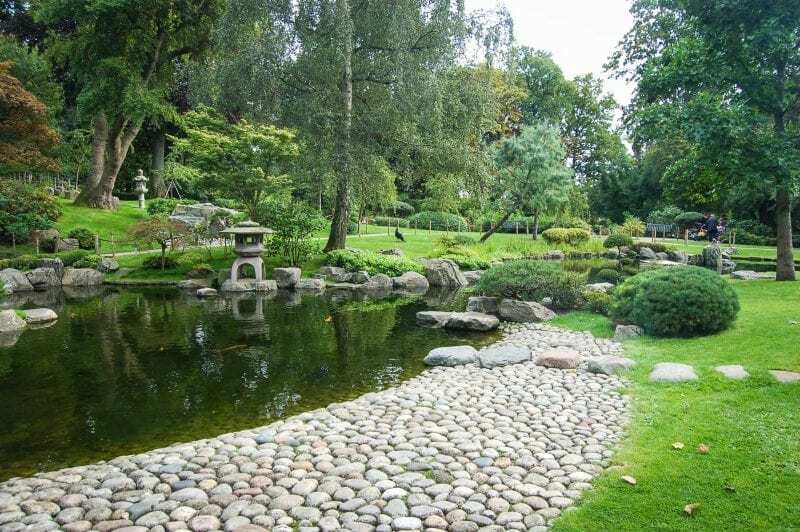 Located in Holland Park is the very peaceful Kyoto Gardens. This park is beautiful in general, but the Kyoto Gardens are definitely a highlight making it a unique London sight that’s absolutely free to visit! Bring a picnic down with you and enjoy the quietness right in central London – believe it or not, it’s possible! On the intersections of Broad Street and Lexington Street is one of London’s historical killers – a water pump. This water pump used to be one of the main sources of water for thousands of people until a cholera outbreak occurred and killed over 600 people. John Snow was the hero who discovered that the outbreak came from leaking sewage because of the influx of people in the Soho area. Another little alleyway that has been frozen in time is Goodwin’s Court. It still uses flickering gas lamps to this day! It dates back from 1690 and, for me, it’s one of London’s hidden treasures that is missed by thousands of tourists walking right past it! Well, I don’t think this needs any explanation! After the whole incident with the John Snow pump, London decided they wanted to provide the residents with fresh, clean and free drinking water. The fountain was built in 1859 and can be found on Holborn Viaduct. Another one of London’s great markets and also one of my top 3 favourite is the Portobello Road Market. 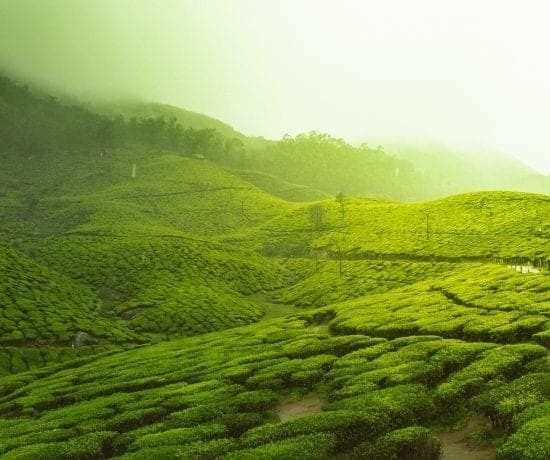 It’s located in the beautiful Notting Hill and stretches for about 2 miles. The market first started in the 1800’s and is most famously known for its antiques. It’s the busiest on a Saturday, but also open from Monday until Friday as well. Just because we’re on a roll with old things here, the oldest street sign dating back to 1636 was found on Tavistock Street, which was formerly known as Yorke Street. It is really hard to spot, but the easiest way to see it is if you stand across from Café Murano and look right at the top. There you will spot a white plaque. Chances are that you will not be able to see the carved date or name of the street unless you have amazing eyesight! Primrose Hill is one of the 6 protected viewpoints of London and boasts extremely beautiful views of the city. Bring a blanket and watch the sunset over magical London! In one of London’s iconic parks is one of the most interesting places to be, Speakers’ Corner. It’s where open-air public speaking, debate and discussions are allowed, and there’s usually a few people hanging off the lampposts. The tradition first started in the mid 1800’s and is still going strong today. 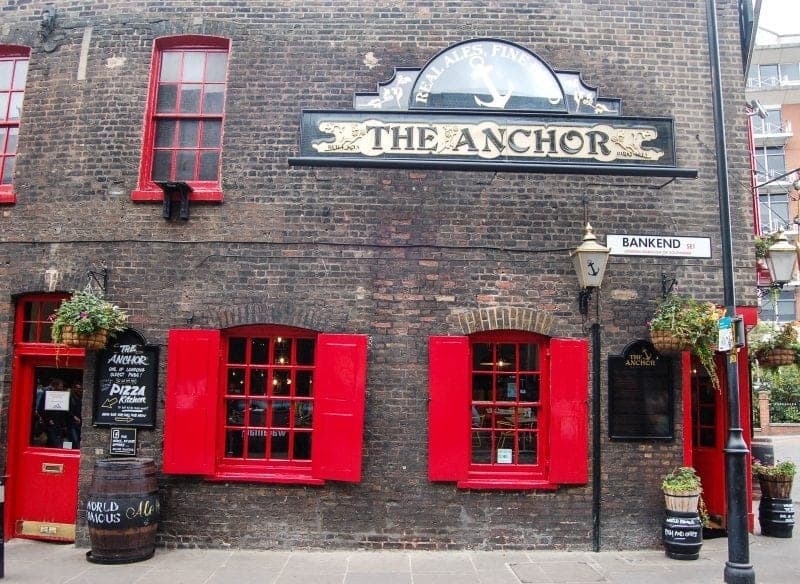 The Anchor Pub is located not far from the Borough Market and has a pretty gruesome past. It’s the site of a Roman grave, but was also used as bear and bull baiting pits. On top of all that, it’s also one of the sites used as a plague pit in 1603. This famous site is home to where longitude and the Greenwich Mean Time (GMT) was founded. There are lots to see here, including a range of artefacts used by Royal astronomers and galleries exploring the mysteries of the world. I stumbled across this on my way to St Dunstan and I’m so glad I did. This church sits where the entrance for the original London bridge used to be. Back in the day, people used to have to come by this church when they entered the city of London. There’s even still pieces of the original bridge that you can see here! Artist Tim Fishlock randomly decided to make casts of his own ears and dot them around Covent Garden, two of them are on Floral Street. Good luck trying to find the rest! Just like the ears, if you make your way to Soho you can then search for the seven noses that artist Rick Buckley hid in protest of CCTV cameras that had been scattered across London. The rumour is that if you can find all the seven noses all the wealth will come your way! 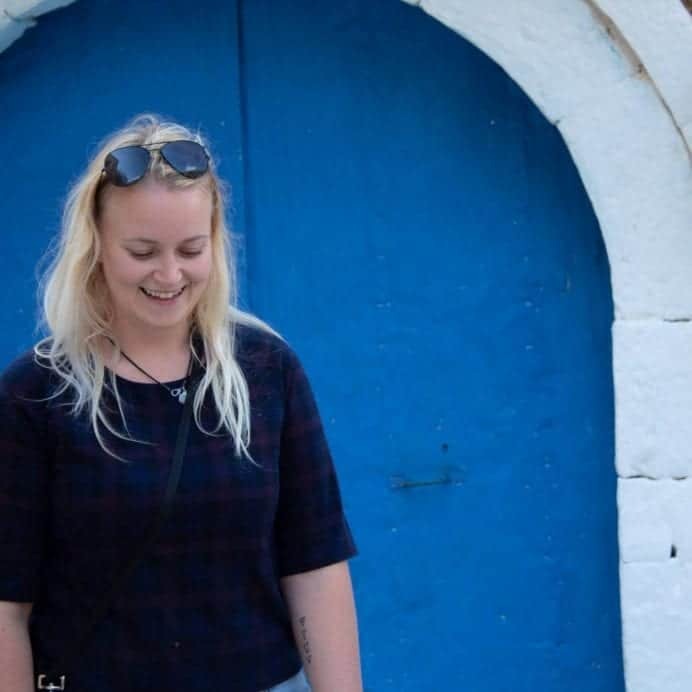 There are so many awesome hostels that are situated in London so I thought I would list my top 5 you should definitely check out! Also, read my article on top 6 hostels located around London. Safestay Holland Park – You will feel like you’re in a hotel, not a hostel! Your trip doesn’t have to be expensive, there are loads of things to do in London that are absolutely free! You can now make your trip to London even easier by filling out a UK e-visa application form for an electronic visa waiver. Get the london Pass? Is it worth buying? I haven’t seen any of these things! It makes me want to go back to London right now, especially since the exchange rate is doing well for the US dollar! I love the parks you mentioned here. I love finding things not everyone knows about! Yesss, I want to do everything, especially Bushy Park! I’ve only been to London ONCE for one day and with people who spent most of the time on the London Eye and figuring out where to eat lunch. Like literally, I hung out in a book market while they waited for the Eye -_-. Definitely need to return and experience all of these–especially for free (not even the public toilets are free!). I always look for free things to do in a city prior to my visit there. 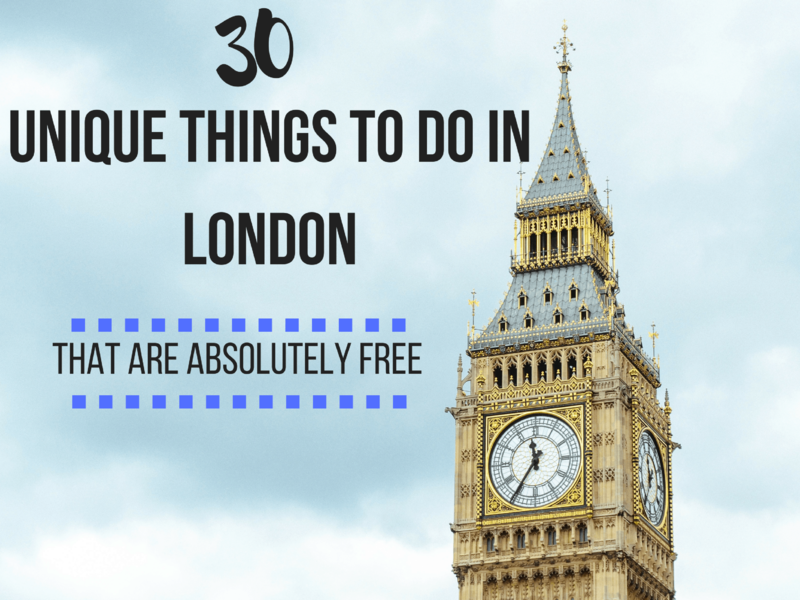 I plan on going to London in the near future, so this list is great! The parks, Kyoto Garden, the oldest house in London, and that unusual museum you’ve mentioned are already on my list – but I found new items to add! I just came from London and I feel like there’s more on this list that I would love to do. Gosh, I should have seen this, I would have stayed longer. Thanks for putting this together. London has been a very expensive city for me, it’s good to see there are some things to do for free! I’m actually very impressed, I’ve been to London several times, and in every post which claims “unique things to do” I’ve always done them all already. Pleased to say though that you’ve given me a lot to add to my list for my next trip! When I first came to London, I spent a lot of time with family, drinking beer and tea and eating fish and chips. Next time I come back I will explore some of these places. Very cool. I love this collection of FREE things to do in London! Just wandering around in London is a cool experience but it’s nice to have a list of things to do that will keep you intrigued during your visit to England’s capital. I wish I had your tips when I was in London 4 years ago. After looking at your list, I can see I really missed a lot. Excellent read! There’s so many on here I haven’t done so I now have a good list to work through over the course of the next month ? Thanks so much for sharing!!! I lived in London for five years but you’ve definitely mentioned some places that I’ve never visited. LIke you say, it’s impossible to see everything there. You’re so right about people always flocking to the tourist traps and not seeing the interesting nooks and crannies it has! 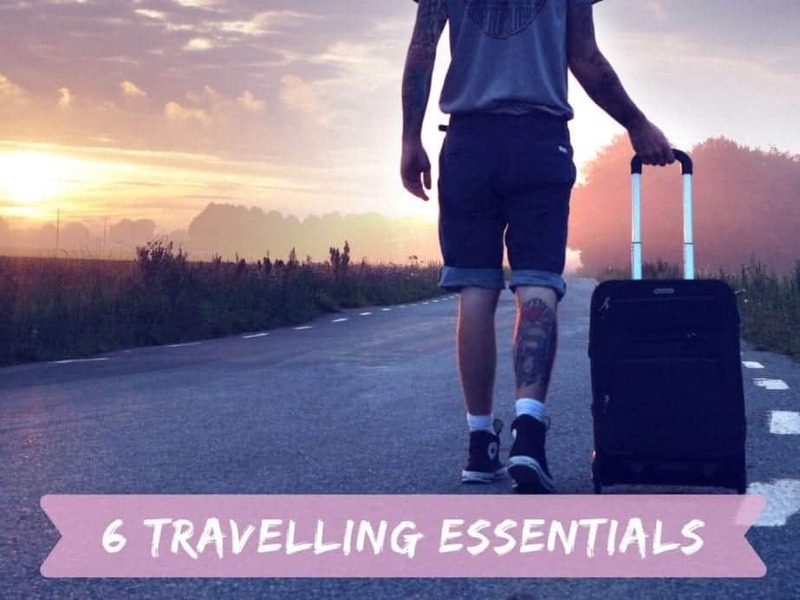 This is a great list- I still haven’t made it to London but I’ll have to remember these for when I finally do! What a great list! 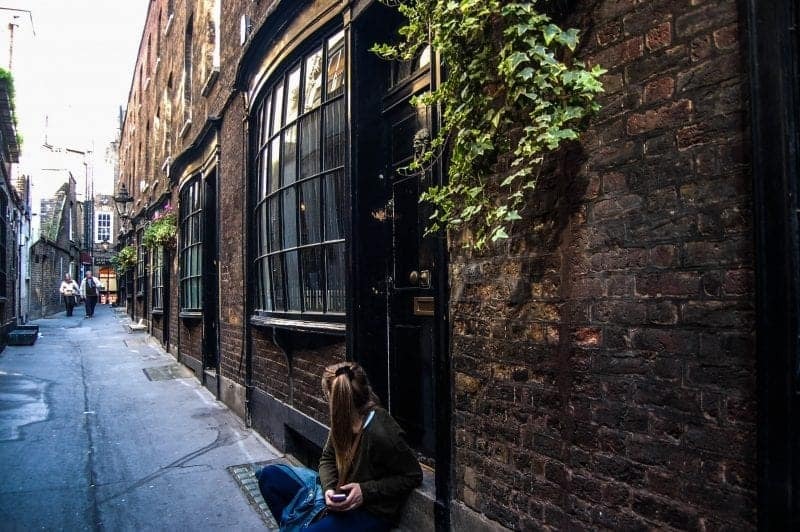 The smallest police station in the country looks interesting, as well as The Oldest Street Sign in London~ 30 great things to do… looks like there is no time for boredom when visiting London. I love London….and I love free things! great list. Will refer back to it next time we’re in town. So many amazing free attractions in London, people always seem to think it’s one of the most expensive cities in the world, but I always tell them it’s only expensive if you let it be. You can have just an amazing an experience hitting up the many fascinating museums, parks, and historic cathedrals, all for nothing! I was only in London for 36 hours so I need to head back and get a more of these in. 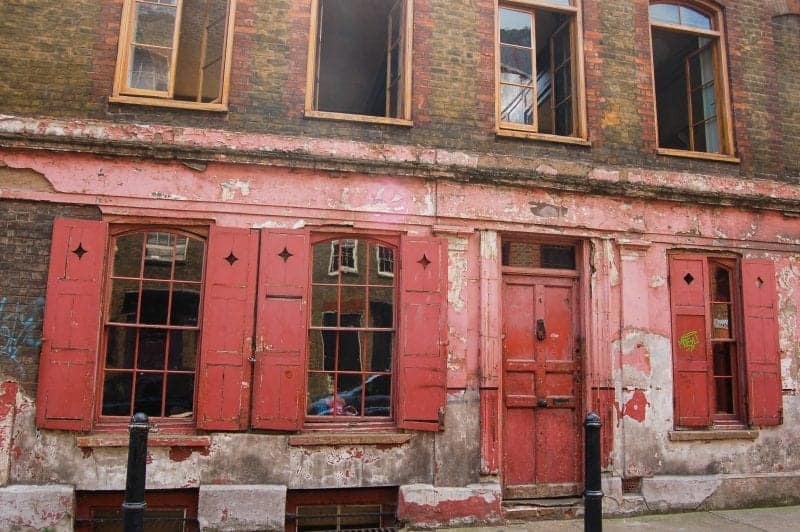 I’d love to explore the Borough Market as well as some of the old buildings on your list. Didn’t even know about Little Venice. It’s kind of like the canals at Venice Beach in California, but with grey clouds. And Kyoto Gardens really does look like Kyoto! Really unique destinations. Absolutely loved that red windows and door photo! I will remember this free things post when I visit London again on a layover! I’ve been to London twice and each time I found it to be way too expensive! The only free activity I found besides walking or checking out the changing of the guards was the Natural History Museum. This is an excellent resource! Had no idea there were so many options. Saint Dunstan must be my favourite place out of everything on your list. Such an amazing little garden! Hi Anita, you have certainly found some interesting places in London that I didn’t know about, (British and live in Essex lol). 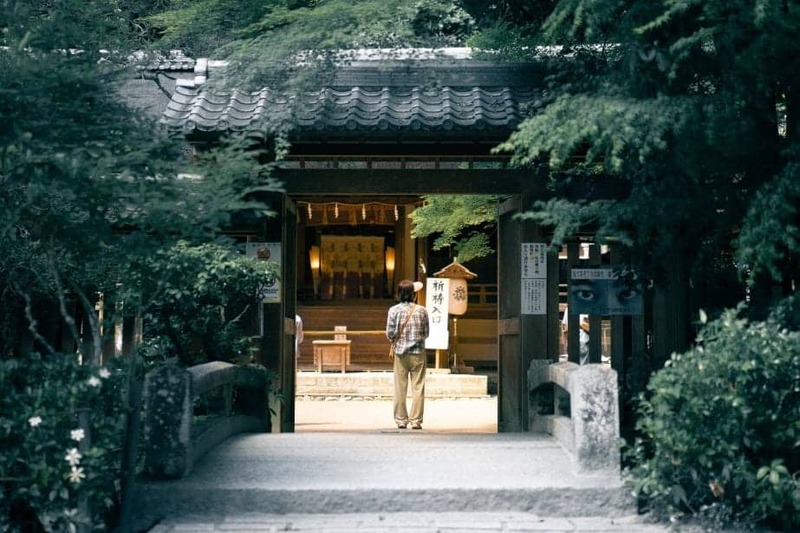 I don’t go up to London much anymore, apart from LHR to go to SE Asia, but the Kyoto Gardens do look interesting and maybe I’ll have a look this summer, plus a few others on your list. Sadly Greenwich Observatory is no longer free. Found this one via pinterest (great design btw), and it’s really interesting what you put together on london. The oldest street, Goodwin’s Court, drinking fountain….really an awesome list. i put it on my list for the next London trip. Great article! I love London and have been there multiple times. But I still found lots on this list that I haven’t yet seen. Now I can’t wait for my next trip!